Saint Dorotheus of Tyre recorded that the Church at Tyre sent Saint Aristobulus to Britain as Bishop in AD 37. Eusebius and Hippolytus both name Aristobulus as the first Bishop of Britain and there is a town named after him to this day in Wales. So there is certainty that he came and established the Church at that date. Tertullian mentions the British Church as operational in AD208 and Origen mentions it in AD238. In AD314 The Primate of the British Church, Adelfius of Caerleon, Bishop Eborius of York and Bishop Restitutus of London all attended the Council of Arles. In AD 325, Saint Athanasius specifically noted the British Church assenting to the decisions of Nicaea I. The British church was a missionary church with figures such as St Illtud, St Ninian and St Patrick evangelising in Wales, Scotland and Ireland, but the invasions by the pagan Angles, Saxons and Jutes set the Church back. The incomers as is now known, did not drive the Britons out, but actually intermarried with them, and many Britons remained living in the newly conquered areas. The Church no doubt was muted and probably impotent at these times. There were those outside who thought it should be more militant in returning to evangelise the Anglo-Saxons. In 597 a mission sent by St Gregory the Dialogist and led by St Augustine of Canterbury landed in Kent to begin the work of converting these pagan insurgents. However we know that Augustine met a British Bishop where he landed in Kent and that the British Church numbered around 120 Bishops at the time of his ecclesiastical invasion of an existing Church which was in full communion with the rest of the worldwide Church. What eventually became known as the "Church of England"[note 1] was the result of a combination of two traditions, that of the British Church which existed throughout Cornwall, Wales up the east coast of England and into Scotland, and that of Augustine and his successors. These traditions came together only very slowly - it was hundreds of years before the Cornish Bishops agreed to the Whitby settlement. The result was an English Church, led by the two Archbishops of Canterbury and York, that was fully assimilated into the mainstream Church. This meant that it was influenced by the wider development of the Christian tradition in matters such as theology, liturgy, church architecture, and the development of monasticism. Orthodoxy came back into the picture in the British Isles in 1716-1725: A considerable correspondence was conducted between the English Nonjuring bishops (usually styled in contemporary Orthodox documents as the “Catholic remnant” of the British Church), Peter the Great, Czar of Russia, and the Œcumenical Patriarch of Constantinople. It was proposed that a parish be established in London, which would be Orthodox and Western Rite. The Nonjurers’ lack of funds prevented their sending the proposed two delegates to Russia to seal the agreement. However, the Patriarch’s second letter to the “British Catholics” expressed a willingness to effect union and fix details later: “As for custom and ecclesiastical order and for the form and discipline of administering the sacraments, they will be easily settled when once a union is effected.” Nothing actually eventuated. Then in 1868: The Primus of Scotland visited Russia, where he held informal discussions with Metropolitan Filaret of Moscow and other Russian Church leaders about their interest in effecting the admittance of the British Church into Orthodoxy. He reported his meetings in detail to the Archbishop of Canterbury and the Convocation of Canterbury. Nothing further eventuated here either. In 1869: the Holy Synod of Russia authorised the use of the corrected text of the Western Rite Liturgy for use in Britain. Various forms of ethnic Orthodoxy entered Britain during the twentieth century with refugees from eastern Europe and migrant workers. There are now a number of native British parishes through England, Wales and Scotland under various external Orthodox authorities. 5 Rome acknowledges Cymbeline, King of the Catuvellauni, as king of Britain. Apostle Aristobulus, Apostle of Britain. 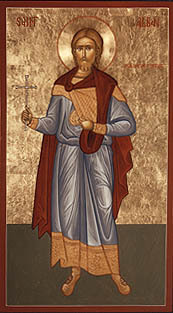 St. Alban, Protomartyr of Britain. 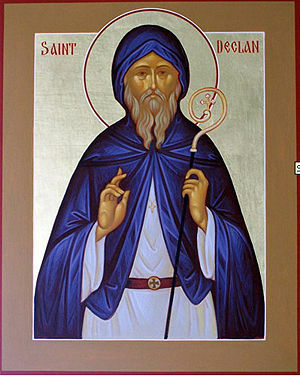 St. Declan, Bishop & Abbot of Ardmore in Ireland. 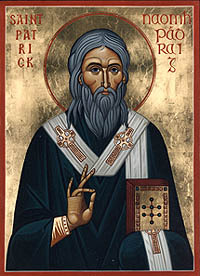 St. Patrick, Bishop of Armagh and Enlightener of Ireland. Apocryphal legend claims that Joseph of Arimathea accompanied the Apostle Philip, Lazarus, Mary Magdalene & others on a preaching mission to Gaul. citation needed. 61 Boudicca, queen of the Iceni, let uprising against the Roman occupiers but was defeated and killed by the Roman governor, Suetonius Paulinus. 63 Joseph of Arimathea, travels to Britain and lands in Glastonbury[note 3] on the first Christian mission to Britain; Aristobulus, consecrated as first bishop to Britain. ca. 170-236 Hippolytus of Rome[note 5] identifies Apostle Aristobulus listed in Romans 16:10 with Joseph of Arimathea and states that they ended up becoming Shepherds of Britain. 305 Constantine the Great was able to spend a year in northern Britain at his father Constantius' side, campaigning against the Picts beyond Hadrian's Wall in the summer and autumn. 306 Constantine the Great is proclaimed as Augustus of the West at Eboracum (York), capital of the province of Britannia Secunda and home to a large military base. 314 Council of Arles, for the first time, three British bishops attend a council, including the Abp. of Londinium, Restitutus. 383 Rome appoints Magnus Maximus as emperor in Britain while conquering Gaul, Spain and Italy. 5th c. St. Declán of Ardmore founded the monastery of Ardmore (Ard Mór) in what is now Co. Waterford, believed to be the oldest Christian settlement in Ireland, Christianizing the area and converting the Déisi before the coming of St. Patrick. 419 King Brychan of Brecknock born, ca. 419, in South Wales. ca.480 Death of St. Merthyr of Tydfil, in Wales. ca.500 Death of St. Gwynllyw of Wales (St. Gundleus), a Welsh King & Penitent, founder of St Woolos Cathedral and father of Saint Cadoc the Wise. 520 Clonard Abbey is founded in Ireland by St. Finnian, where some of the most significant names in the history of Irish Christianity (who would go on to be known as the Twelve Apostles of Ireland) studied at. 525 Death of St. Brigid of Kildaire; Gildas the Wise studies under St. Illtyd and travels to Ireland with David of Wales and Cadoc, here he is ordained to the priesthood. 545 Synod of Brefi at Llandewi Brefi in Wales condemns Pelagianism; Saint David of Wales moved the Primatial See of Britain from Caerleon to Menevia (St. Davids's). 550 Repose of St. Jarlath of Tuam, first Bishop of Tuam; Aed of Ferns born at Inisbrefny, Ireland. 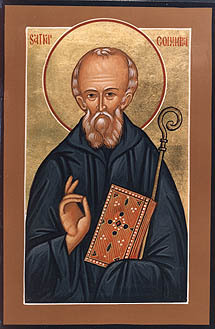 St. Columba of Iona, Enlightener of Scotland. 563 The Hiberno-Scottish mission begins, as Columba arrives on Iona and establishes monastery there, founding mission to the Picts. 570 Repose of Gildas the Wise, his relics allowed to drift; relics of Gildas the Wise recovered and translated to the church in Rhuys. 576 Death of Constantine of Cornwall. 577 Death of St. Brendan the Navigator. 580 Aedan of Ferns returns to Ireland after studying under St. David in Wales. 587 Death of David of Wales. 597 Death of Columba of Iona, Enlightener of Scotland. 6th c. The Twelve Apostles of Ireland (also known as Twelve Apostles of Erin), twelve early Irish monastic saints of the sixth century who studied under St Finnian at his famous monastic school Clonard Abbey at Cluain-Eraird (Eraird's Meadow), now Clonard in County Meath. St. Augustine, Archbishop of Canterbury, Apostle of the English. 597 Gregory the Great sends Augustine[note 16] and forty monks to Britain to convert the Kingdom of Kent; Augustine first preaches in the Isle of Thanet to King Ethelbert, receiving license to enter the Kingdom of Kent; King Ethelbert is converted and on Christmas day 10,000 of the king's subjects were baptized; Augustine was consecrated Abp. at Arles, and establishes the See of Canterbury. 7th c. Celtic missions are launched in Northumbria (Aidan, Cuthbert). ca.600 Emergence of Insular art, also known as the Hiberno-Saxon style, produced in the post-Roman history of the British Isles, originating from the Irish monasticism of Celtic Christianity, or metalwork for the secular elite; the most important centres were in Ireland, Scotland and the kingdom of Northumbria in Northern England. 602 Augustine repares the church of our Saviour and builds the monastery of St. Peter the Apostle, "Peter" is the first abbot of the same. 603 Death of Kentigern of Glasgow; Ethelfrid, king of the Northumbrians, having vanquished the nations of the Scots, expels them from the territories of the English. 604 First Bishop of London, Mellitus consecrated by Augustine in the province of East Saxons; Repose of Saint Augustine of Canterbury "Apostle to the English;" Saint Laurence of Canterbury consecrated as the second Archbishop of Canterbury; Bp. Mellitus founded the first St. Paul's Cathedral, traditionally said to be on the site of an old Roman Temple of Diana (although Christopher Wren in the 17th c. found no evidence of this). 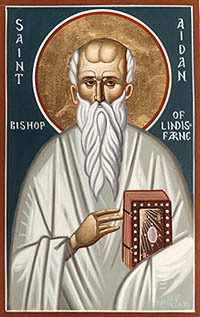 Aidan of Lindisfarne, Enlightener of Northumbria. 612 Death of Dubricius of Caerleon, Archbishop and Confessor of Caerleon and Wales, one of the greatest of Welsh saints. 614 Death of Kentigern of Glasgow, Apostle of northwest England and southwest Scotland. 616 Death of Æthelberht (Ethelbert), King of Kent, the first Christian king of the Anglo-Saxons. 618 Death of abbot Donnan & his monk companions in Eigg. 619 Death of Laurence of Canterbury; Mellitus consecrated as third Archbishop of Canterbury. 624 Death of Mellitus, first Bishop of London. 632 Death of Aed of Ferns,[note 18] Bishop of Ferns in Ireland. 647 Repose of Felix of Burgundy, Apostle of East Anglia. 651 Cuthbert of Lindisfarne witnesses the soul of St. Aidan of Lindisfarne reposing as a light in the night sky and leaves for Melrose Abbey to become a monk; Repose of St. Aidan of Lindisfarne, enlightener of Northumbria of Northern England. 657 Whitby Abbey (Benedictine) is founded by the Anglo-Saxon King of Northumbria, Oswy (Oswiu). 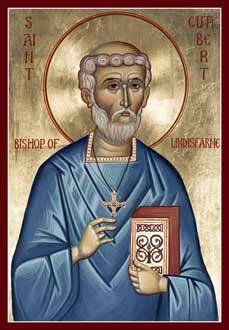 St. Cuthbert the Wonderworker, Bishop of Lindisfarne. 664 Synod of Whitby; Cuthbert stricken by the great pestilence; death of St. Boisil, abbot of Melrose Abbey, Scotland;[note 20] death of St. Cedd, Apostle of Essex. 670 Colman founds an English monastery, separate from the Irish, the "Mayo of the Saxons,"[note 21] with Gerald of Mayo as the first abbot. 672 Death of Chad of Lichfield and Mercia. 676 Cuthbert becomes a solitary on Farne Island; Malmesbury Abbey (Benedictine) is founded at Malmesbury in Wiltshire, England, by the scholar-poet Aldhelm, a nephew of King Ine of Wessex. 679 Death of Audrey of Ely. 680 Death of Botolph of Iken; Repose of St. Hilda of Whitby; Sussex is the last part of England to be converted to Christianity. 686 Death of Cuthbert of Lindisfarne. 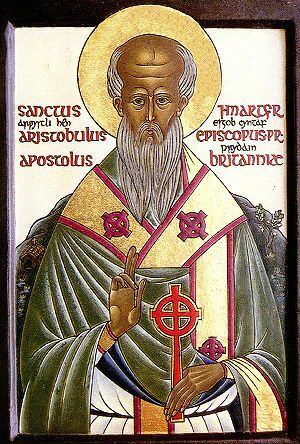 689 Death of Benedict Biscop, abbot, in Wearmouth, Co Durham. 690 Death of Theodore of Tarsus, eighth Archbishop of Canterbury. 694 Death of Sebbe, founder of the monastery of Westiminster. 693 Death of Erconwald, Bishop of London. 705 The Saxon Diocese of Sherborne was founded by King Ine of Wessex, who set Aldhelm as first Bishop of the see of Western Wessex, with his seat at Sherborne. 709 Death of Wilfrid, Bishop of Hexham. 712 Glastonbury Abbey is founded as a stone church in Glastonbury, Somerset, England, under the patronage of Saxon King Ine of Wessex, although the abbey itself was founded by Britons dating to at least the early 7th century. 714 Death of Guthlac of Crowland, the hermit. 716 Death of Donald of Ogilvy, Confessor of Scotland, whose nine daughters all entered a monastery in Abernethy, founded by Ss. Darlugdach and Brigid, where they became known as the Nine Maidens, or the Nine Holy Virgins. 717 In Scotland, the Iona monks were expelled by the Pictish king Nechtan son of Derile. St Bede, or the Venerable Bede, Monk of Jarrow, biblical scholar (+735). 735 Death of Venerable Bede; See of York achieves archepiscopal status. 747 Witenagamot of England again forbids appeals to the Roman Pope; Council of Clovesho I adopts Roman calendar, observance of the feasts of Gregory the Great and Augustine of Canterbury, and adopts the Rogation Days. ca.750-800 Book of Mulling composed, an Irish pocket Gospel Book. 785 Synod of Cealchythe erects the Archbishopric of Lichfield. 787 Two councils held in England, one in the north at Pincanhale, and the other in the south at Chelsea, reaffirming the faith of the first Six Ecumenical Councils (the decrees of the Seventh having not yet been received), and establishing a third archbishopric at Lichfield. Book of Kells, Folio 183v, Text from Mark. 794 Vikings sack the Monkwearmouth-Jarrow Abbey; Offa, King of the Mercians, offers the tribute or alms known as "Peter's Pence" (Romefeoh). 795 In the earliest recorded Viking raid on Ireland, they attack Iona, Inisbofin and Inismurray. ca.800 Book of Kells is completed by the Celts. 802 The Vikings sack Iona. 806 Vikings kill all the inhabitants on the religious island of Iona, Scotland, UK. 807 The Christianized Vikings (Danes) land on the Cornish coast, and form an alliance with the Cornish to fight against the 'heathen' West Saxons. 815 Egbert of Wessex ravages the territories of the west Welsh (Cornwall). 824 Death of Óengus of Tallaght (Óengus the Culdee), held to be the author of the Félire Óengusso ("The Martyrology of Óengus") and possibly the Martyrology of Tallaght. 825 Egbert of Wessex defeats Beornwulf of Mercia at Ellandun; Kent, Surrey, Sussex and Essex submit to Wessex and East Anglia acknowledges Egbert as overlord. 828 Egbert of Wessex becomes the first King of England. ca.830 Historia Brittonum written (known for its list of 12 battles of King Arthur). 836 Egbert of Wessex is defeated by the Danes. 838 Death of Bp. Winnoc (Gwynog, Guinoch) of Scotland, a counsellor to King Kenneth, whose prayers helped the king to vanquish the Picts in seven battles on a single day; at Hingston Down, Egbert of Wessex beats the Danish and the West Welsh. 843 Kenneth I (Cináed mac Ailpín), King of the Scots, also becomes King of the Picts, thus becoming the first monarch of the new nation of Scotland; the Alpin dynasty of Scottish kings begins to reign. 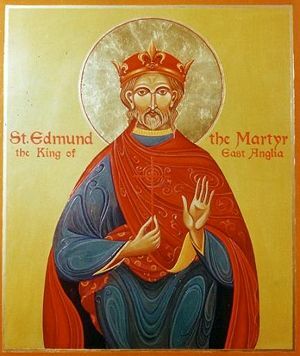 Edmund the King-Martyr of East Anglia (+869). 851 Vikings plunder London and Canterbury. 852 St. Swithun becomes Bp. of Winchester, England. 855 King Æthelwulf of Wessex grants churches in the kingdom of Wessex the right to receive tithes. 866 Vikings raid and capture York in England. 869 Martyrdom of King Edmund of East Anglia. 870 Death of Ss. Beocca and Hethor, the two martyrs of Chertsey; the Great Summer Army invades England led by Bagsecg and conquers East Anglia; the buildings destroyed by the Danish invaders include the abbey of Ely and the monastery of Peterborough. 875 The Danes capture Lindisfarne and arrive in Cambridge. 878 King Alfred the Great of Wessex defeats Vikings; the Treaty of Wedmore divides England between the Anglo-Saxons and the Danes (the Danelaw). 886 St Alfred the Great, King of Wessex, captures London from the Danes. 888 Shaftesbury Abbey is founded in Dorset, England. 899 Death of King Alfred the Great. 903 Relics of King Alfred the Great[note 24] translated to New Minster Abbey. 904 King Constantine II of Scotland (900-943) is victorious at the Battle of Scone, after which the Vikings were forced to withdraw from Scotland; according to the Fragmentary Annals of Ireland, the defeat of the Norsemen is attributed to the intercession of Saint Columba following fasting and prayer. 906 Synod at Scone, reported by the Chronicle of the Kings of Alba, where King Constantine II of Scotland and Bp. Cellach I of Cennrígmonaid met "upon the hill of credulity near the royal city of Scone, [and] pledged themselves that the laws and disciplines of the faith, and the rights in churches and gospels, should be kept in conformity with the [customs of the] Gaels". 911 Normans convert to Christianity: in the Treaty of Saint Clair-sur-Epte with King Charles the Simple, Viking leader Rollo pledged feudal allegiance to the king, changed his name to the Frankish version, and converted to Christianity, probably with the baptismal name Robert. 943 King Constantine II of Scotland retires and becomes a monk. 945 Dunstan becomes Abbot of Glastonbury. 955 Death of King Edred of England. 960 Dunstan becomes Archbishop of Canterbury, reforming monasteries and enforcing rule of Benedict; Church of St. Dunstan, Mayfield is founded in East Sussex by St. Dunstan. 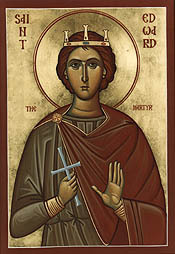 Edward the Martyr, King of England (+978). 971 Translation of St. Swithun's relics into an indoor shrine (previously buried outside); the ceremony is said to have been marred by 40 days of torrential rain. 972 The monastery at the site of Peterborough Cathedral is rebuilt; St. Edburga of Winchester (+960) is canonized. 977 St. Æthelwold of Winchester, Bishop of Winchester, rebuilds the western end of the Old Minster, Winchester, with twin towers and no apses. 978 Death of King Edward the Martyr. King Harold II Godwinson, last Orthodox king of England. ca.980-1000 Ramsey Psalter illuminated manuscript is produced at Winchester, intended for use at the Benedictine monastery of Ramsey. 982 Greenland is discovered by Erik the Red. 988 Death of St. Dunstan of Canterbury, Bishop of London. ca.988-1023 The Bosworth Psalter is compiled at Canterbury, including a calendar of the Orthodox Church from among the Saints of Western, especially English origin who reposed before the West fell away from Orthodoxy. 1002 Death of St. Wulsin, renewer of the Monastery of St. Peter; St. Brice's Day massacre . 1005 Irish King Brian Boru visited Armagh, confirming to the apostolic see of Saint Patrick, ecclesiastical supremacy over the whole of Ireland (as recorded in the Book of Armagh). 1006 St. Alphege goes to Pope John XVIII at Rome for his pallium and becomes Archbishop of Canterbury. 1010 Death of Ælfric of Eynsham, abbot of Eynsham and a prolific writer in Old English of hagiography, homilies, biblical commentaries. 1012 Death of St. Alphege, Archbishop of Canterbury martyred to the east of London at Greenwich. 1014 Abp. Wulfstan preaches his Latin homily, "Wulf's Address to the English". 1018 Buckfast Abbey is founded at Buckfastleigh, Devon, England. 1020 Canute the Great codifies the laws of England. ca.1020 Harley Psalter illuminated manuscript is produced, probably at Christ Church, Canterbury. 1022 Aethelnoth, Archbishop of Canterbury, is received at Rome; Gloucester Abbey (Benedictine) is founded in the city of Gloucester, England, dedicated to St. Peter. 1043 Edward the Confessor crowned King of England at Winchester Cathedral. 1045 Edward the Confessor begins construction of Westminster Abbey. 1065 Westminster Abbey is consecrated on December 28, 1065, only a week before Edward the Confessor's death and subsequent funeral and burial; it was the site of the last coronation prior to the Norman conquest of England, that of Harold II Godwinson. Norman conquests in red. Norman conquest of England (1066); Kingdom of Sicily (founded ca.1042-1154); Principality of Antioch (1098). 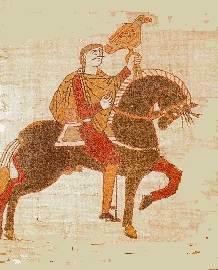 1066 Normans invade England flying banner of Pope of Rome, defeating King Harold of England at Battle of Hastings; death of Harold of England, the last Orthodox King of England. 1066-1171 Beginning reformation of English church and society to align with Latin continental ecclesiology and politics. 1075 Council of London, a council of the Roman Catholic church in England held by the new Norman archbishop of Canterbury Lanfranc, deciding that all dioceses were to be re-centred on cities. 1080 York Minster cathedral is again rebuilt from 1080 AD. 1083 Shrewsbury Abbey (the Abbey of Saint Peter and Saint Paul) is founded by the Norman Earl of Shrewsbury, Roger de Montgomery, in the county town of Shropshire, England. ca.1085 Great Malvern Priory (Benedictine) is founded in Malvern, Worcestershire, England, as Wulfstan, Bishop of Worcester, had encouraged a hermit named Aldwyn to found a monastery in what was then the wilderness of Malvern Chase. 1092 The first cathedral at Old Sarum is completed by Bp. Osmund. 1093 Durham Cathedral is founded. 1095 Death of Wulfstan, Bishop of Worcester, the only English Bishop who maintained his office under William the Conqueror, after the Norman conquest (i.e. Bp. of Worcester 1062-1095). 1096 Colchester Abbey (Benedictine) is founded by Eudo, son of Hubert de Ria, seneschal of King William II, on a site believed to be the location of a miracle. 1098 Anselm of Canterbury completes Cur Deus homo, marking a radical divergence of Western theology of the atonement from that of the East. 1102 Council of London, a Roman Catholic church council of the church in England convened by Anselm, Archbishop of Canterbury, to debate and pass decrees to reform the clergy; it is best known for confirming homosexuality as a sin in the English and wider church, and for outlawing the export of Christian slaves to non-Christian lands. 1104 Relics of Cuthbert of Lindisfarne translated[note 26] from Lindisfarne to Durham Cathedral. ca.1120-1145 St. Albans Psalter is produced at St Albans Abbey, one of the most important examples of English Romanesque book production, of almost unprecedented lavishness of decoration. 1128 Holyrood Abbey (Augustinian) is founded in Scotland. 1131 Tintern Abbey is founded in Wales, being only the second Cistercian foundation in Britain, and the first in Wales. 1132 Rievaulx Abbey (Cistercian) is founded in North Yorkshire, England, by twelve monks from Clairvaux Abbey as a mission centre for the colonisation of the north of England and Scotland, becoming one of the great Cistercian abbeys of England; Fountains Abbey (Cistercian) is founded two miles southwest of Ripon in North Yorkshire, England, being one of the largest and best preserved Cistercian houses in England, and now a UNESCO World Heritage Site. 1136 Melrose Abbey (Cistercian) is founded on the request of King David I of Scotland. 1150 Kinloss Abbey (Cistercian) is founded by King David I of Scotland, going on to become one of the largest and wealthiest religious houses in Scotland. 1159 John of Salisbury authors Policraticus, a treatise on government drawing from the Bible, the Codex Justinianus, and arguing for Divine Right of Kings. 1169-71 Anglo-Norman invasion of Ireland; city of Dublin captured by the Roman Catholic Normans. Cross of St. George, officially established as the national flag of England in the 16th c.
1173 Death of Richard of Saint Victor, a Scotsman and prior of the famous Augustinian abbey of Saint-Victor in Paris (1162-1173), who was one of the most important mystical theologians of 12th century Paris, then the intellectual center of Western Europe. 1185 The present-day Lincoln Cathedral is begun, after an earthquake destroyed its predecessor; the Knights Templar in England consecrated Temple Church as their headquarters in London, a round church, patterned after the Church of the Holy Sepulchre in Jerusalem. ca.1207 Archbishop of Canterbury Stephen Langton divides the Bible into the defined modern chapters in use today. 1208-1215 Pope Innocent III placed the kingdom of England under an interdict for seven years after King John refused to accept the pope's appointee as Archbishop of Canterbury. 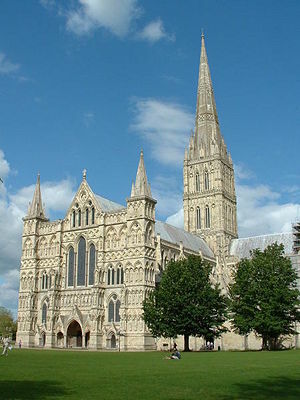 Salisbury Cathedral, considered one of the leading examples of Early English architecture. 1217 Culross Abbey is founded as a Cistercian abbey in Culross, Scotland, the birth place of St Kentigern of Glasgow. 1239 Wells Cathedral is dedicated. ca.1245 Monymusk Priory is founded as a house of Augustinian canons, based in Aberdeenshire, Scotland. 1258 Salisbury Cathedral consecrated at New Sarum. 1296 The Stone of Scone was captured by Edward I as spoils of war and taken to Westminster Abbey, where it was fitted into a wooden chair, known as King Edward's Chair, on which most subsequent English sovereigns have been crowned. 1320 Declaration of Arbroath, a declaration of Scottish independence, was submitted to Pope John XXII. ca.1380-1534 Lollard Movement in England; Lollards were effectively absorbed into Protestantism during the English Reformation, in which Lollardy played a role. 1382-95 First English Bible translated by John Wyclif. The Flag of Scotland, also known as the Saint Andrew's Cross or more commonly The Saltire, officially adopted 16th c.
ca.1410 Monk Nicholas Love, prior of the Carthusian house of Mount Grace in Yorkshire, translated the Meditationes Vitae Christi (wrongly attributed to the Italian scholastic philospher Bonaventure) into English as The Mirror of the Blessed Life of Jesus Christ. 1415 The festival of St. George was raised to the position of a "double major feast" and ordered to be observed throughout the Province of the Archbishop of Canterbury with as much solemnity as Christmas Day. 1438 Margery Kempe,a "religious enthusiast"[note 31] and laywoman, completes her autobiography The Book of Margery Kempe, chronicling her spiritual experiences, visions, and extensive pilgrimages to various holy sites in Europe. ca.1456 Rosslyn Chapel is founded in Scotland by William Sinclair, 1st Earl of Caithness, as a Roman Catholic collegiate church (Collegiate Chapel of St Matthew), however having a number of Templar and Masonic connections. 1494 English Augustinian mystic Walter Hilton writes his magnum opus, the Scala Perfectionis, or Scale of Perfection. ca.1500-1505 The Eton Choirbook is compiled, showing the development of early Renaissance polyphony in England, and being one of the very few collections of Latin liturgical music to survive the Reformation. 1516 Leading Renaissance humanist Thomas More writes Utopia. 1535 Sir Thomas More and John Fisher were executed by beheading by order of King Henry VIII, for refusing to accept him as Head of the Church of England (More and Fisher were both canonized by Pope Pius XI in 1935). 1536 The Pilgrimage of Grace, a popular rising in York, Yorkshire, in protest against England's break with Rome and the Dissolution of the Monasteries, as well as other specific political, social and economic grievances; Wales is incorporated into England with the Laws in Wales Acts 1536–1542. 1626 Death of Anglican Bp. Lancelot Andrewes, Bp. of Winchester, and head translator of the 1611 Authorised Version ("King James") Bible, remembered chiefly for his sublime sermons (lately admired and interpreted by Russian Orthodox theologian Nicolas Lossky for their patristic quality and profound affinities with Eastern Orthodox theology and liturgical texts). 1644 The Long Parliament (1640-49) directed that only the Hebrew canon be read in the Church of England, effectively removing the Apocrypha. 1650 Anglican Abp. of Armagh and Primate of All Ireland James Ussher writes his "Annals of the World," a chronology that purported to establish the time and date of the creation as the night preceding 23 October 4004 BC, according to the proleptic Julian calendar. 1676 Arrival of Joseph Georgerines, Archbisop of Samos. 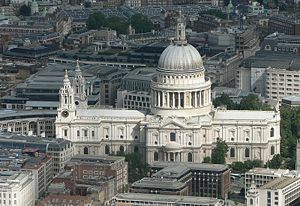 1708 St Paul's Cathedral, London, is consecrated, designed by Sir Christopher Wren, seat of the Anglican Bp. of London, reckoned to be London's fifth St Paul's Cathedral, all having been built on the same site since 604 A.D. (when the first Saxon cathedral was built by Mellitus in Lundenwic). 1738 Print 'Noon'[note 33] by William Hogarth[note 34] shows evidence of a crowd exiting a Greek Orthodox church. 1752 Change from the Julian calendar to the Gregorian calendar, in England and Wales, Ireland and the British colonies, with the passage of the "Calendar (New Style) Act 1750". 1845-52 Great Irish Famine, a period of mass starvation, disease and emigration in Ireland during which the island's population dropped by 20 to 25 percent. 1863-64 "The Eastern Church Association" was founded in London, its purpose being to pray and work for Anglican reunion with the Eastern Church. 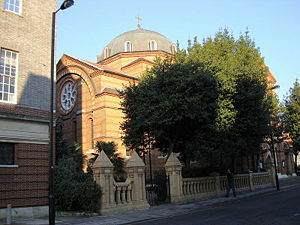 1866 British Orthodox Church (Coptic) is originally established, when a Frenchman, Jules Ferrette, was consecrated as a bishop by the Syriac Orthodox Church with the purpose of re-establishing Orthodoxy to the West. Greek Orthodox Cathedral of St. Sophia, Bayswater, London. 1877 Greek Orthodox Church of the Divine Wisdom (St Sophia) in Bayswater built, the first Liturgy being celebrated on June 1, 1879, 18 months after Eustratios Ralli laid the first stone. 1882 Greek Orthodox Cathedral and Metropolitical Church of St Sophia is consecrated by Antonios, Abp. of Corfu, being the mother church of the Greek Orthodox church in Great Britain. 1885 English Revised Version published; Archbishop of Canterbury officially removes all of Apocrypha from the Authorized King James Bible. 1896 Papal bull Apostolicae Curae is issued in by Pope Leo XIII, declaring all Anglican ordinations to be "absolutely null and utterly void". 1897 The Anglican Archbishops of Canterbury and York of the Church of England responded to the papal charges of 1896 with the encyclical Saepius Officio. 1899 Bede is made a "Doctor of the Church"[note 36] by Leo XIII. 1906 Greek Orthodox Church of Saint Nicholas built in Cardiff; a new society, called "The Anglican and Eastern Orthodox Churches Union" was formed in London by a group of Anglo-Catholic clergymen, whose purpose was to promote an interest in the Eastern Church among a wider circle of Anglicans and to establish personal contacts. 1918 The family of Tsar Nicholas II Romanov, Alexandra and their five children are lined up in their basement and shot. 1921 Rev. J.A. Douglas publishes The Relations of the Anglican Churches with the Eastern-Orthodox. 1922 Holy Synod of the Oecumenical Patriarchate recognises the Archdiocese of Thyateira and Great Britain with London as its seat; Germonos (Strinopoulos), former Rector of the Halki Theological Academy, is chosen as the first Bishop and Metropolitan of Thyateira (1922-1951), and first Orthodox Bishop in Great Britain since the Norman conquest in 1066. 1926 The Society of St. John Chrysostom is founded as a group of a group of Catholics of the Latin and Eastern Churches, along with friends in other traditions, promoting awareness and friendship in the Christian West for Christians of the East, through prayer and liturgy, conferences and lectures, and praying for the unity of the Churches of East and West. 1926 The Russian parish of the Dormition in London split into those who continued to support ROCOR, and those who supported the Moscow Patriarchate. 1927 Russian émigré lay Orthodox theologian Nicholas Zernov who was one of the founders of the Anglican-Orthodox ecumenical group the Fellowship of Saint Alban and Saint Sergius, organized the Anglo-Russian Student Conferences of 1927 and 1928 that gave strong impetus to theological contact among English-speaking Christians and Orthodox Christians who had fled Russia after the Russian Revolution of 1917. 1928 Fellowship of St. Alban and St. Sergius is founded; the Russian Orthodox Church Outside Russia appointed the 38-year-old Archimandrite Nicholas (Karpov) to London. 1929 On All Saints Sunday, June 30, Archimandrite Nicholas (Karpov) was consecrated Bishop of London (ROCOR); present at the consecration was the Grand Duchess Xenia Alexandrovna, the sister of the martyred Tsar Nicholas II. 1934 Nicholas (Gibbes), former English tutor of Tsarevich Alexei Nikolaevich of Russia, converted to Orthodox Christianity, and was tonsured a monk then ordained to the priesthood. 1948 HRH Princess Elizabeth, the present Queen, married the Greek Orthodox Prince Philip, the present Duke of Edinburgh; he was officially required to cease to be Orthodox, although he never ceased to make the Orthodox sign of the cross in public; Hieromonk Anthony (Bloom) was appointed Chaplain of the Anglican-Orthodox Fellowship of St. Alban and St. Sergius. Metr. Anthony (Bloom) of Sourozh, (1962-2003). 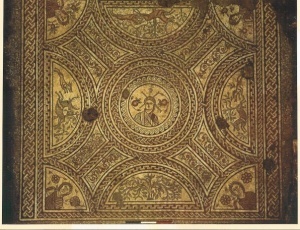 The Hinton St Mary Mosaic, mid 4th-c. AD. discovered in 1963. 1951 Death of Germonos (Strinopoulos); succeeded by Abp. Athenagoras (Kavadas), (1951-1962). 1957 Formation of the Vicariate of Sergievo of the Exarchate of Western Europe (Moscow Patriarchate), with Hieromonk Anthony becoming Bp. of Sergievo. 1962 Repose of Athenagoras (Kavadas); Diocese of Sourozh is founded by Metr. Anthony (Bloom) of Sourozh; the Russian Church did not name the Diocese after British territory, so as not to upset good relations with the Church of England. 1963 Abp. 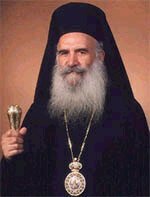 Athenagoras (Kokkinakis) is elected by the Holy Synod of the Ecumenical Patriarchate as Metropolitan of Thyateira and Great Britain (1963-1979); Timothy Ware (future Bp. Kallistos (Ware) of Diokleia) writes The Orthodox Church, a classc introduction to the riches of Orthodoxy, written for a Western audience with no prior historical connection to the Orthodox faith; a large, almost complete Roman mosaic (mid-4th century) is discovered at Hinton St Mary in the English county of Dorset, apparaently featuring a portrait bust of Jesus Christ with the Chi-Rho symbol as its central motif, attributed to the workshop of the Durnovarian school of mosaic art. 1966 Timothy Ware is ordained to the priesthood and tonsured as a monk, receiving the name Kallistos; death of St. John Maximovitch, Archbishop of London. 1969 Rev. Canon Dr. Michael Bourdeaux founds the Keston Institute, at Oxford, playing a key role over the years in the revival of the Russian Orthodox Church, and becoming a leading voice on religious freedom in former communist countries. 1970 Gregorios (Theocharous) consecrated Bishop of Tropaeou; Chrysostomos (Mavroyiannopoulos) made auxiliary Bishop of Kyanea; acquired in 1960, St. Luke's Greek Orthodox Church in Glasgow, Scotland, is elevated to a Cathedral by the Pope and Patriarch of Alexandria, Nicholas VI (Valeropoulos), with the blessing of the Ecumenical Patriarchate. 1975 Death of Metr. Nikolaos of Halkis in a London hospital; the Greek Orthodox community of Saint Panteleimon of Harrow is established; Abp. Athenagoras (Kokkinakis) publishes The Thyateira Confession: The Faith and Prayer of Orthodox Christians. 1977 A Diocesan Assembly formed by Metr. Anthony (Bloom) met for the first time, forming a committee which began work on a new set of statutes which, on Metropolitan Anthony's insistence, were intended to reflect the principles of the 1917-18 Local Council on the governance of the church; thanks to these statutes the laity were able to contribute, with the clergy, at every level within the Diocese to decision-making; British composer John Tavener converted to the Russian Orthodox Church, knighted in 2000 for his services to music. 1979 Death of Abp. Athenagoras (Kokkinakis) succeeded by Abp. Methodios (Fouyias) (1979-1988); Kallistos (Ware) of Diokleia appointed; Bp. Kallistos (Ware) writes The Orthodox Way. The Most Reverend Metropolitan Kallistos (Ware) of Diokleia, (1982-present). ca.1980-2010 Aidan Hart becomes England's leading professional iconographer, fresco painter and illuminator, completing over 700 private and church commissions, having his works commissioned by HRH The Prince of Wales, the Cathedrals of Hereford, Lichfield and Newcastle, Hexham Abbey, Iviron Monastery in Mount Athos, and Saint John’s Abbey USA for The Saint John’s Bible. 1981 Redundant Anglican Church of St. Mary in Mary Street, Dublin handed to the Greek Orthodox Community of Dublin and Ireland, blessed and dedicated to the Holy Annunciation by Abp. 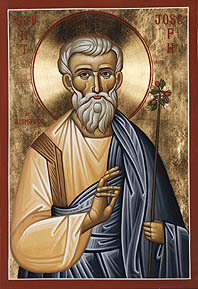 Methodius (Fouyias) of Thyateira, Great Britain and Ireland. 1982 Kallistos (Ware) of Diokleia consecrated as Bishop for the Thyateira and Great Britain; the Church of St. Edward the Martyr is founded in Brookwood, Surrey, England, under the authority of Metr. Cyprian of Oropos and Fili (Holy Synod in Resistance), to care for the sacred relics of Saint Edward the Martyr. His Eminence Abp. Gregorios (Theocharous) of Thyateira and Great Britain (1988-present). 1985 With the departure of Bp. Constantine (Essensky) of Richmond in 1985, ROCOR's Diocese of Great Britian and Ireland did not receive a resident bishop, but was assigned under the omophorion of His Eminence Abp. Mark (Arndt) of Berlin, also Bp. of ROCOR's German diocese (i.e. Bp. of the "Germany and Great Britain Diocese"). 1988 Abp. Methodios (Fouyias) is succeeded by Abp. Gregorios (Theocharous) who is elected Abp. of Thyateira and Great Britain and enthroned at the Cathedral of Sophia in West London. 1992 Professor Eamon Duffy writes "The Stripping of the Altars: Traditional Religion in England, 1400–1580," dealing with the shift in religious sensibilities in English society between 1400 and 1580. 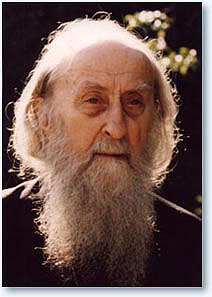 1993 Death of Elder Sophrony (Sakharov). 1993-95 The Pilgrimage to Orthodoxy group is formed by a body of former Anglican Priests with their parishes, who were wanting to be received as groups into the Orthodox Church; Anglican priest Fr. Michael Harper became President of the group from 1993 to its closure in 1995. 1994 The British Orthodox Church (Coptic), originally established in 1866 as an Oriental Orthodox mission to the West, became a constituency of the Coptic Orthodox Patriarchate, under the leadership of Metr. Seraphim of Glastonbury and Pope Shenouda III. 1995 Death of Philip Sherrard, theologian; establishment of the Antiochian Orthodox Deanery of the United Kingdom and Ireland. 1996 St. Aidan's Antiochian Orthodox Church in Manchester consecrated by Metropolitan Gabriel (Saliby); Richard Swinburne, Emeritus Professor of Philosophy at the University of Oxford and a very influential proponent of natural theology, converted from the Church of England to the Greek Orthodox Church; former Anglican priest Fr. Michael Harper is appointed Dean of the Antiochian Orthodox Deanery of the United Kingdom and Irelandin April 1996, elevated to the rank of Archpriest in 2006. 1997 Friends of Orthodoxy on Iona founded; Fr. Michael Harper writes The True Light: A Pilgrimage to Orthodoxy (A Faith Fulfilled - US edition). 2000 Theodoritos (Polyzogopoulos) of Nazianzos elected and consecrated Bishop of Nazianzos; the council of Bishops of the Russian Orthodox Church unanimously recognise Nicholas, Alexandra and their five children as saints; Archdiocese of Thyateira annual Youth Conference held at Wood Green, North London; Monachos.net  online discussion community set up by M.C. Steenberg; Institute of Byzantine Studies established at Queens' University, Belfast, Ireland. 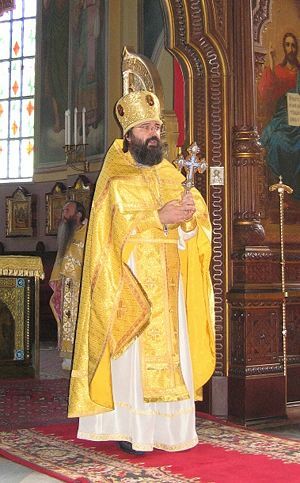 2002 In January, Hilarion Alfeyev was consecrated as Bishop of Kerch, an assistant bishop for the Sourozh diocese; on July 17th, the Patriarchate of Moscow moved Bp. Hilarion out of the Diocese of Sourozh, to become Head of the Representation of the Russian Orthodox Church to the European Institutions; Abp. of Canterbury Dr. Rowan Williams writes Ponder These Things: Praying With Icons of the Virgin. 2004 Abp. of Canterbury Dr. Rowan Williams writes The Dwelling of the Light: Praying with Icons of Christ. 2005 Mission in Macclesfield dedicated to St. Theodore of Canterbury opens in September; British composer Fr. Ivan Moody is elected the first Chairman of the International Society for Orthodox Church Music (ISOCM). Bp. Elisey (Ganaba) of Sourozh, (2007-present). 2006 Bp. 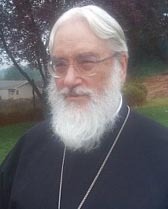 Basil (Osborne) was accepted into the jurisdiction of the Ecumenical Patriarchate on June 8 and accorded the title of Bishop of Amphipolis as head of the Episcopal Episcopal Vicariate of Great Britain and Ireland, within the Patriarchal Exarchate for Orthodox Parishes of Russian Tradition in Western Europe. 2007 The Holy Synod of the Moscow Patriarchate officially released Bp. Basil (Osborne) from its jurisdiction on March 27; on December 27 the Diocese of Sourozh is reconstituted, as the Holy Synod of the Church of Russia appointed Bp. Elisey (Ganaba) as Bp. of Sourozh, bringing to an end the Temporary Administration of Abp. Innokenty, who was thanked for having restored peace to the Diocese; Diocese of Sourozh celebrated the 50th anniversary of the consecration of the Cathedral of the Dormition of the Mother of God and all Saints (known to Londoners simply as "Ennismore Gardens"). 2007 The Abp. of Canterbury Dr. Rowan Williams welcomed Patriarch Bartholomew I to Westminster Abbey to celebrate the publication of The Church of the Triune God: The Cyprus Agreed Statement, taking over 16 years to produce, concluding the third phase of the Anglican-Orthodox international theological dialogue; Diocese of Diokleia is elevated to a Metropolis and Bp. Kallistos (Ware) to Titular Metropolitan of Diokleia; death of Metr. Gabriel (Saliby) of Western Europe (Antiochian); the moves towards restoration of canonical relations between ROCOR and the Moscow Patriarchate saw the departure in January 2007 of 1) the monastic Brotherhood of St Edward in Brookwood, 2) the Holy Annunciation Convent in Willesden, and 3) the missionary parish of St Boniface on the Isle of Wight, all for the Greek Orthodox Synod in Resistance; the Abp. of Canterbury Dr. Rowan Williams "launched a fierce attack" against the modern cult of atheism in a lecture singling out the eminent scientist Richard Dawkins, author of the best-selling The God Delusion and a leading Darwinist, arguing that atheists had missed the point and failed to understand what Christians really believe in. 2009 With the retirement of Bp. Basil (Osborne) of Amphipolis, the Episcopal Vicariate of Great Britain and Ireland became the Deanery of Great Britain and Ireland, coming directly under the omophorion of Abp. Gabriel (de Vylder) of Komana (Patriarchal Exarchate for Orthodox Parishes of Russian Tradition in Western Europe); Archpastoral visitation of Metropolitan Hilarion of ROCOR to Great Britain; Hieromonk Fr. Michael (Mansbridge-Wood) of ROCOR stated that Western Rite was celebrated on two successive Sundays in the Russian Orthodox Cathedral of the Dormition at Chiswick in London;[note 40] interviewing the Rt. Rev Paul Richardson, assistant Church of England Bishop of Newcastle, The Daily Telegraph on 27 June reported that Britain is no longer a Christian nation and that the Church of England could die out within a generation. 2010 Death of Archpriest Fr. Michael Harper, Dean of the Antiochian Orthodox Deanery of the United Kingdom and Ireland, who was one of the leaders of the Renewal movement in the 1960s to 1980s before he joined the Antiochian Orthodox Church, playing a significant part in the setting up of the Institute for Orthodox Christian Studies and its inclusion as part of the Cambridge Theological Federation; the Christian manifesto Westminster2010: Declaration of Christian Conscience is launched on Easter Sunday in the UK; inaugural meeting of the Episcopal Assembly of the British Isles was held on June 21st at Thyateira House; second meeting of the Episcopal Assembly of the British Isles was held on December 14th at Thyateira House. The British Association of Iconographers (BAI) is founded, based at the Benedictine Turvey Abbey in Bedfordshire (Priory of Our Lady of Peace). ↑ The British forces are led by Cassivellaunus. ↑ St. Philip sent Joseph of Arimathea, with twelve disciples, to establish Christianity in the most far-flung corner of the Roman Empire: the Island of Britain. The year AD 63 is commonly given for this "event", with AD 37 sometimes being put forth as an alternative. ↑ Tertullian wrote that Britain had received and accepted the Gospel in his life time: "All the limits of the Spains, and the diverse nations of the Gauls, and the haunts of the Britons--inaccessible to the Romans, but subjugated to Christ." ↑ The date of St Alban's martyrdom is uncertain, but it is believed that it took place during the reign of Decius (ca. 251) or Valerian (ca. 257). The eighteenth century Turin manuscript (which may be based on a fifth century source) suggests that St Alban may have been executed as early as 209, when the emperor Septimus Severus and his two sons were in Britain. The Anglo-Saxon Chronicle list the year of St. Alban's execution as 283 not as 305. ↑ The earliest authority for their existence is St. Gildas in De Excidio Britanniae. ↑ Ss. Socrates and Stephanus appear in the Martyrologion Hieronymianum MS.50 from Trinity College, Dublin (11th-century) and one of the earliest amplifications of Bede's martyrology. Tradition holds them to be disciples of St. Amphibalus. ↑ St. Jerome suggests that this Pelagius was of Scottish descent but in such terms that it is uncertain as to whether he was from Scotland or Ireland. He is also frequently referred to as a British monk and Augustine has been documented as referring to him as "Brito" to distinguish him from Pelagius of Tarentum. ↑ In early January, 406, a combined barbarian force (Suevi, Alans, Vandals & Burgundians) swept into central Gaul, severing contact between Rome and Britain. In autumn 406, the remaining Roman army in Britain decided to mutiny. One Marcus was proclaimed emperor in Britain, but was immediately assassinated. ↑ Emperor Honorius tells Britain to attend to its own affairs, effectively removing the Roman presence. ↑ St. Auxilius of Ireland: The date of death is also given as 454 or 455, see Sabine Baring-Gould, The Lives of the Saints (J. Hodges, 1898), 275. ↑ When he came to Ireland, as its enlightener, it was a pagan country; when he ended his earthly life some thirty years later, about 461, the Faith of Christ was established in every corner." (Great Horologion) The work of St Patrick and his brethren has been called the most successful single missionary venture in the history of the Church. ↑ The date of St. Gildas' birth can only tentatively be placed to the decades either side of the beginning of the Sixth Century. St. Bede indirectly suggests the year 493 for this event and this is the date adopted for this article. ↑ Saint Augustine of Canterbury is also called the "Apostle to the English". ↑ The "St Augustine Gospels" manuscript is the oldest surviving Latin illustrated Gospel book in existence. ↑ A bronze reliquary in which the relics of St. Aed of Ferns are kept is currently preserved in Dublin. ↑ St. Beuno the Wonderworker, Abbot of Clynnog, was uncle to St. Winefride of Treffynon, November 3, whom he also restored to life. ↑ Almost all that is known of St. Boisol or Boswell, is learned from St. Bede (Eccles. Hist., IV, xxvii, and Vita Cuthberti). ↑ The Mayo (Magh Eo, the yew plain), known as "Mayo of the Saxons". St. Bede writes of this monastery: "This monastery is to this day (731) occupied by English monks... and contains an exemplary body who gathered there from England, and live by the labour of their own hands (after the manner of the early Fathers), under a rule and canonical abbot, leading chaste and single lives." ↑ Cædmon is said to have taken holy orders at an advanced age and it is implied that he lived at Streonæshalch at least in part during Hilda’s abbacy (657–680). Book IV Chapter 25 of the Historia ecclesiastica appears to suggest that Cædmon’s death occurred at about the same time as the fire at Coldingham Abbey, an event dated in the E text of the Anglo-Saxon Chronicle to 679, but after 681 by Bede. ↑ It was said not to be a tribute to the pope, but for the sustenation of the English School or College at Rome. ↑ Considered a local Saint by the Orthodox church of England but not formally canonised. ↑ The proper name of Milton Abbey is the Abbey Church of St. Mary, St. Samson and St. Branwalader. ↑ His [St. Cuthbert of Lindisfarne] body was still found to be untouched by decay, giving off "an odour of the sweetest fragrancy", and "from the flexibility of its joints representing a person asleep rather than dead. ↑ During the crusades Richard the Lionheart claimed to have seen a vision of St George bearing a red-cross banner. Although he himself did not enter Jerusalem (declaring himself unworthy to do so), in gratitude for the victory he repaired the church over the grave of St George of Lydda and there took the saint as his personal patron. Edward the Confessor was "patron saint" of England until 1348 when the greater importance of St George was promoted by the establishment of the Chapel of St George at Windsor. Austin Friars (Order of St. Augustine). ↑ Prior to this, Saint Edmund had been considered the patron saint of England, although his veneration had waned since the time of the Norman conquest, and his cult was partly eclipsed by that of Edward the Confessor. ↑ The earliest reference to the Saint Andrew's Cross as a flag is to be found in the Vienna Book of Hours, ca. 1503, where a white saltire is depicted with a red background. 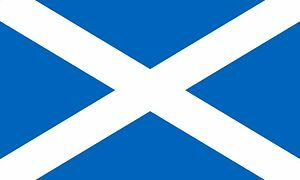 In the case of Scotland, use of a blue background for the Saint Andrew's Cross is said to date from at least the 15th century, with the first certain illustration of a flag depicting such appearing in Sir David Lyndsay of the Mount's Register of Scottish Arms, ca. 1542. ↑ Margery Kempe (ca.1373-ca.1439) stands very much alone in the English mystical tradition. Indeed, she is thought by some to be outside this tradition because of the lack of depth in her revelations, the highly personal level of her visions, and the extremes of her behaviour. If she is a mystic, it is certainly not in the same sense as her better known contemporaries such as Richard Role or Julian of Norwich. ↑ "In the year of salvation 1677 this Temple was erected for the nation of the Greeks, the Most Serene Charles II being King, and the Roual Prince Lord James being commander of the foreces, the Right Reverend Lord Henry Compton being Bishop, at the expense of the above and other Bishops and Nobles and with the concurrence of our Humility of Samos Joseph Georgeirenes, from the island of Melos." - Inscription from tablet carved in Greek preserved on the west wall of the church Charing Cross Road. This site is now occupied by St Mary's of Kenton a non-Orthodox denomination. ↑ From the series entitled "The Four Times of the Day". ↑ In Hogarth’s time the portion of the street where the church stood was called Hog Lane. It was later renamed Crown Street and was demolished when Charing Cross Road was widened. ↑ In 1824 North established the Ionian Academy on the island of Corfu, which was under British control. It was the first University to be established in Modern Greece. ↑ Chesterton routinely referred to himself as an "orthodox" Christian, and came to identify such a position with Roman Catholicism more and more, eventually converting to Roman Catholicism from Anglicanism. ↑ He was only partially successful, for only three Patriarchates (those of Constantinople, Alexandria and Jerusalem, together with the Church of Cyprus) made a favourable pronouncement. Later in 1936, the Romanian Church came to a similar conclusion. The rest of the Orthodox world, in the absence of the Russian Church which had been silenced under the Communist regime, refrained from committing itself either way. ↑ Raised in a church-going family in the Church of Ireland, Lewis became an atheist at the age of 15, though he later paradoxically described his young self as being "very angry with God for not existing". Influenced by arguments with his Oxford colleague and friend J. R. R. Tolkien, and by the book The Everlasting Man by G. K. Chesterton, he slowly rediscovered Christianity. After his conversion to theism in 1929, Lewis converted to Christianity in 1931. A committed Anglican, Lewis upheld a largely orthodox Anglican theology, though in his apologetic writings, he made an effort to avoid espousing any one denomination. Mere Christianity was voted best book of the 20th century by the Evangelical magazine Christianity Today in 2000. ↑ "The Cathedral has a Lower Church (the original) and an Upper Church - which has just been finished. They have given us the Lower Church to use for Western Rite. So we celebrate our Western Rite in the Lower Church at the same time as they celebrate the Eastern Rite in the Upper Church..."
Alan Channer. A Byzantine church in North London, in: Christian Today. Saturday, February 6, 2010. Orthodoxy in the Republic of Ireland. LANCELOT Andrewes Press. (The publishing arm of the Fellowship of Saint Dunstan, a non-profit organization for the advancement of historic Christian orthodoxy, as expressed by the liturgical and devotional usages of traditional English Christianity (particularly as embodied in the texts of traditional editions of the Book of Common Prayer, the 1611 Authorised Version Bible, and related texts, commentaries, hymnals and chant books). Dowding, Janka. The Prevalence of Christianity in Roman Britain to AD 410. Hirundo: The McGill Journal of Classical Studies, Volume III, pp.53-63, 2005. Frend, William H. C. "Roman Britain, a Failed Promise." In: Martin Carver. The Cross Goes North: Processes of Conversion in Northern Europe AD 300–1300. Woodbridge, UK: Boydell Press, 2003. pp.79–92. ISBN 1-84383-125-2. Kelly C. “Constantine: Britain's Roman Emperor.” History Today 56, no. 7 (2006): 25-31. Thomas, Charles. Christianity in Roman Britain to AD 500. London: Batsford, 1981. Allchin, A.M., and Esther De Waal. Threshold of Light: Prayers and Praises from the Celtic Tradition. Templegate, 1988. Bitel, Lisa M. Isle of the Saints. Ithaca: Cornell University Press, 1990. Chadwick, Nora. The Age of Saints in the Early Celtic Church. London: Oxford University Press, 1961. De Paor, Maire and Liam. Early Christian Ireland. London: Thames and Hudson, 1978. Gougaud (OSB), Dom Louis. Christianity in Celtic Lands. London, 1932. Gougaud (OSB), Dom Louis. Gaelic pioneers of Christianity: The Work and Influence of Irish Monks and Saints in Continental Europe (VIth-XIIth cent). Dublin: M.H. Gill and Son, Ltd., 1923. Hughes, Kathleen, and Ann Hamlin. Celtic Monasticism. New York: Seabury Press, 1981. Mackey, James, (Ed.). An Introduction to Celtic Christianity. Edinburgh : T.T. Clark, 1989. Matthews, Caitlin. The Elements of the Celtic Tradition. Worcester, England: Element Books, 1989. McNeill, John T. The Celtic Churches. Chicago: University of Chicago Press, 1974. O'Dwyer, Peter. Celi De: Spiritual Reform in Ireland 750-900. Dublin: Editions Tailliura, 1981. Ryan, John. Irish Monasticism. Dublin: Irish Academic Press, 1931. Bede. A History of the English Church and People. Transl. Leo Sherley-Price. Penguin Classics, 1988. ISBN 0-14-044042-9. See: Ecclesiastical History of the English People, excerpts from the Internet Medieval Sourcebook. Blair, John P. The Church in Anglo-Saxon Society. Oxford: Oxford University Press, 2005. ISBN 0-19-921117-5. Brooks, Nicholas. The Early History of the Church of Canterbury: Christ Church from 597 to 1066. London: Leicester University Press, 1984. ISBN 0-7185-0041-5. Campbell, James. "Observations on the Conversion of England." Essays in Anglo-Saxon History. London: Hambledon Press, 1986. pp.69–84. ISBN 0-907628-32-X. Chaney, William A. "Paganism to Christianity in Anglo-Saxon England." In: Thrupp, Sylvia L.. Early Medieval Society. New York: Appleton-Century-Crofts, 1967. pp. 67–83. Church, S.D. "Paganism in Conversion-age Anglo-Saxon England: The Evidence of Bede's Ecclesiastical History Reconsidered". History Vol.93, Issue 310, pp.162–180, March 4, 2008. Deanesly, Margaret and Grosjean, Paul. "The Canterbury Edition of the Answers of Pope Gregory I to St Augustine." Journal of Ecclesiastical History Vol. 10, Issue 1, pp.1–49, April 1959. Demacopoulos, George. "Gregory the Great and the Pagan Shrines of Kent." Journal of Late Antiquity Vol. 1, Issue 2, pp.353–369, Fall 2008. Fletcher, R. A. The Barbarian Conversion: From Paganism to Christianity. New York: H. Holt and Co., 1998. ISBN 0-8050-2763-7. Foley, W. Trent and Higham, Nicholas. J. "Bede on the Britons." Early Medieval Europe Vol. 17, Issue 2, pp. 154–185, 2009. Gameson, Richard and Fiona. "From Augustine to Parker: The Changing Face of the First Archbishop of Canterbury." In: Smyth, Alfred P.; Keynes, Simon. Anglo-Saxons: Studies Presented to Cyril Roy Hart. Dublin: Four Courts Press, 2006. pp.13–38. ISBN 1-85182-932-6. Herrin, Judith. The Formation of Christendom. Princeton, NJ: Princeton University Press, 1989. ISBN 0-691-00831-0. Jones, Putnam Fennell. "The Gregorian Mission and English Education." Speculum Vol. 3, No. 3, pp.335–348., July 1928. Lawrence, C. H. Medieval Monasticism: Forms of Religious Life in Western Europe in the Middle Ages. New York: Longman, 2001. ISBN 0-582-40427-4. Markus, R. A. "The Chronology of the Gregorian Mission to England: Bede's Narrative and Gregory's Correspondence." Journal of Ecclesiastical History Vol. 14, No. 1, pp.16–30, April 1963. Markus, R. A. "Gregory the Great and a Papal Missionary Strategy." Studies in Church History 6: The Mission of the Church and the Propagation of the Faith. Cambridge, UK: Cambridge University Press, 1970. pp. 29–38. Mayr-Harting, Henry. The Coming of Christianity to Anglo-Saxon England. University Park, PA: Pennsylvania State University Press, 1991. ISBN 0-271-00769-9. Meens, Rob. "A Background to Augustine's Mission to Anglo-Saxon England." In: Lapidge, Michael. Anglo-Saxon England 23. Cambridge, UK: Cambridge University Press, 1994. pp.5–17. ISBN 978-0-521-47200-5. Ortenberg, Veronica. "The Anglo-Saxon Church and the Papacy." In: Lawrence, C. H.. The English Church and the Papacy in the Middle Ages. Stroud: Sutton Publishing, 1965. pp.29–62. ISBN 0-7509-1947-7. Thacker, Alan. "Memorializing Gregory the Great: The Origin and Transmission of a Papal Cult in the 7th and early 8th centuries." Early Medieval Europe Vol.7, No. 1, pp.59–84, 1998. Wood, Ian. "The Mission of Augustine of Canterbury to the English." Speculum Vol. 69. No. 1, pp. 1–17, January 1994. Yorke, Barbara. 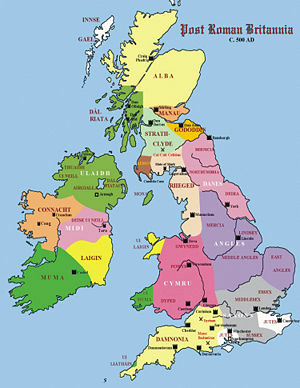 The Conversion of Britain: Religion, Politics and Society in Britain c. 600–800. London: Pearson/Longman, 2006. ISBN 0-582-77292-3. Duffy, Eamon (Prof.). The Stripping of the Altars: Traditional Religion in England, 1400 to 1580. Yale University Press, 1992. Kallistos (Ware) of Diokleia. “The Fifth Earl of Guilford (1766-1827) and His Secret Conversion to the Orthodox Church.” In D. Baker (ed. ), The Orthodox Churches and the West, Studies in Church History, 13 (Oxford: Basil Blackwell, for the Ecclesiastical History Society, 1976), 247-56. Kallistos (Ware) of Diokleia. “The Orthodox Church in England.” In: Zoe Brotherhood (ed. ), A Sign of God: Orthodoxy 1964 (Athens: Zoe, 1964), 47-62. Kallistos (Ware) of Diokleia. “Orthodoxy in Britain: Its Origins and Future.” Sourozh, 42 (1990), 23-8. Kallistos (Ware) of Diokleia. “Father Lev Gillet and the Fellowship of St Alban and St Sergius.” Sobornost (incorporating Eastern Churches Review) , new series 15.2 (1993), 7-15. Kallistos (Ware) of Diokleia. “C. S. Lewis: An ‘Anonymous Orthodox’?” Sobornost (incorporating Eastern Churches Review) , new series 17.2 (1995) , 9-27. Fr. Andrew Phillips. ORTHODOX CHRISTIANITY AND THE OLD ENGLISH CHURCH. 3rd edition. Seekings House, Fellixstowe, England. 2006. Doble, Gilbert H. The Saints of Cornwall. Oxford: Holywell Press, 1970. Duckett, Eleanor. The Wandering Saints. London: Catholic Book Club, 1960. Hanson, R.P.C. The Life and Wanderings of the Historical Saint Patrick. New York: Seabury Press, 1983. James, J.W. (Transl.). Rhigyfarch's Life of St. David. Cardiff: University of Wales Press, 1967. Sharpe, Richard. Medieval Irish Saints' Lives. Oxford: Clarendon Press, 1991. Stokes, Whitley, (Transl.). Lives of Saints from the Book of Lismore. Oxford: Oxford at the Clarendon Press, 1890. Walsh, Michael J. A New Dictionary of Saints: East and West. London: Burns & Oates. ISBN 0-8601-2438-X. Dodwell, C. R. Anglo-Saxon Art: A New Perspective. Cornell University Press, Ithaca, NY, 1985. ISBN 0-8014-9300-5. Green, Miranda. Symbol and Image in Celtic Religious Art. New York: Routledge, 1989. Karkov, Catherine E., and Michael Ryan, Robert T. Farrell. The Insular Tradition. Albany: State University of New York Press, 1997. Wilson, David M. Anglo-Saxon Art: From the Seventh Century to the Norman Conquest. London: Thames and Hudson, 1984. This page was last edited on November 23, 2015, at 14:50. This page has been accessed 389,361 times.